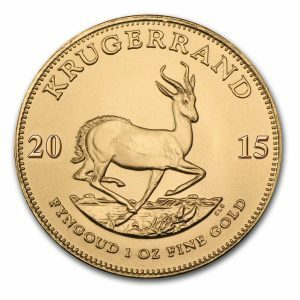 Gold has experienced some remarkable and unexpected turn of events so far this year and year-to-date it is significantly higher in four of the seven top currencies (the euro, British pound, Australian and Canadian dollars), and up respectably in two others (U.S. dollar and Japanese yen). To date, from its recent lows hit in November last year, gold has risen by up to 13% against the USD, 18% against the pound, 30% against the euro, and 32% against the yen. And, the rise against weaker emerging market currencies has been even more significant. The significant gains in gold prices demonstrate the value of gold as a hedge, not just against inflation, but against sudden currency devaluation and systemic financial and economic risks as well. Since the beginning of the year, there have been a series of events that caused investors to reconsider their position on gold as a safe-haven investment. In particular I am referring to the action taken by the Swiss National Bank, as well as the action taken by the European Central Bank. But, in addition, banks around the world have cut rates to ridiculously low levels as the current currency war intensifies. Also, collapsing oil prices have money managers looking to other commodities such as precious metals. The surprise move by the Swiss National Bank (SNB) which caused total havoc in the global currency markets was the catalyst to send the price of the yellow metal through $1280 an ounce in its biggest weekly gain in 17 months as investors look to gold as a safe haven in the face of all the recent volatility. On January 15th, the SNB shook the European and worldwide banking systems by abandoning its long-held cap on its currency. The move sent the euro and dollar dropping against the Swiss franc, and boosted demand for gold as a safe haven. Since September 6, 2011 the SNB has fulfilled its policy of maintaining currency values at a level of no more than 1.20 euro per Swiss franc. The move sent the franc nearly 30% higher against the euro in chaotic trading. Coming a week before the European Central Bank is expected to unveil a bond-buying program to counter deflationary pressures, it fed speculation that this quantitative easing (QE) scheme will be so big that the SNB would have struggled to defend the cap. After taking the rate into negative territory last month for the first time since the 1970s, it cut another 0.5% to -0.755%. Following the announcement by the SNB the Swiss franc gained around 15% against the U.S. dollar, the Australian dollar and other currencies. Big drops were also experienced on the Swiss Stock Market, with the Swiss Market trading down well over 11%. Swiss banks and ATMs temporarily halted all transactions in euros to prevent wholesale flight from the rapidly falling euro. PostFinance, one of Switzerland’s biggest banks for retail clients, temporarily stopped distributing euro bills. Soon afterwards, the European Central Bank (ECB) announced its quantitative easy programme, by committing to purchase 60 billion euros of government debt and other assets every month until September of 2016 or until inflation gets closer to 2%. More than $12 trillion in new money has been created since the global financial crisis by the major central banks in a broad attempt to bolster hobbled banking systems, ease debt service and revive a damaged global economy. However, it seems that the only real benefit of this money printing has been to make the financial elite richer at the expense of the middle class and the poor. Last month, the Indian Reserve Bank Governor Raghuram Rajan cut his key interest rate for the first time in 20 months. Last week, in another surprise move the Bank of Canada (BoC) cut its overnight rate to 0.75% from 1% in January. Policymakers saw downward pressure on headline inflation from lower energy prices while upward pressure could come from the depreciation of Canadian dollar. The BoC also revised lower its growth and inflation outlook, suggesting further easing cannot be ruled out in coming months. Singapore also unexpectedly eased monetary policy, sending the currency to the weakest since 2010 against the U.S. dollar as the country joined global central banks in shoring up growth amid dwindling inflation. Singapore becomes at least the ninth nation to ease policy this month, as officials from Europe to Canada and India take action to contend with escalating disinflation and faltering global growth. Last week, the Danish Central Bank cut the deposit rate from -0.2% to -0.35%, and yet again, for the second time in one week, cut rates from -0.35% to -0.5%! And, on Friday, the Central Bank of Russia cut its key interest rate to 15%, just one month after the surprised rate hike. Earlier on Tuesday, the Reserve Bank of Australia cut interest rates to a record low, sending the Australian dollar to a six-year low against the U.S. dollar. And, it fell more than 2% against the yen. Australia’s central bank cut its cash rate by a quarter point to 2.25% in order to spur a sluggish economy and keep downward pressure on its currency. Central banks around the world bought a net 461 tons of gold in 2014 – 13% higher than the previous year and the second-highest level since the collapse of the gold standard in 1971 — as they continued to diversify their currency reserves following the financial crisis. They have added 1,800 tons to their holdings in the past six years. Russia accounted for about one-third of central banks’ gold purchases last year as the country spent more on the metal than at any time since the break-up of the Soviet Union amid escalating tensions with the west and a collapse in the value of the ruble. Russia’s central bank purchased 152 tons of gold worth $6.1 billion at today’s prices — an increase of 123% compared with the previous year — in the first 11 months of 2014, according to GFMS estimates. The rising gold price is an early warning of future monetary and currency turmoil. And, as the major central banks around the world continue to print enormous amounts of money, an increase in the demand for physical gold can be expected. The price of silver has declined after posting its biggest monthly gain in six months. While global economic uncertainty since the start of the year has stirred safe haven demand for the precious metal, the prospect of higher US interest rates has now trimmed some of those gains. However, relative to gold the price of silver remains totally undervalued. Investors in future decades will look back at this and wonder how they missed this opportunity, unnoticed and passed over by most, as obvious in hindsight. Profligate governments, central banks, and various crises are fuelling safe-haven investment demand for silver coins, rounds and bars from people around the globe. When it comes to global silver demand growth over the past decade, the coin and bar investment category is the big winner. Unfortunately, the media tends to focus on growth of industrial silver consumption, while investment demand continues to take a back seat. 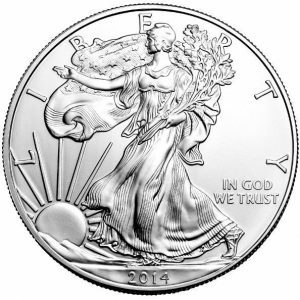 The U.S. Mint announced that 2014 sales of American Eagle Silver Bullion coins reached 44,006,000 ounces. 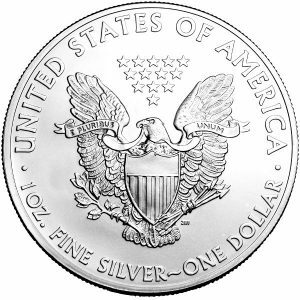 Sales of the American Eagle Silver Bullion one-ounce coin dramatically outpaced those of the one-ounce American Eagle Gold and Platinum coins last year. Moreover, based on 2014 U.S. Mint sales figures and annual average metal prices, Silver Eagles eclipsed Gold Eagles’ sales by 59%. 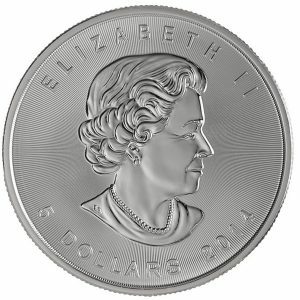 Meanwhile, the Royal Canadian Mint (RCM) reported healthy demand for its silver bullion products last year, ending on a high note having sold all 1 million of the Mint’s Bald Eagle coins from its new Canadian Birds of Prey 99.99% pure silver coins series. 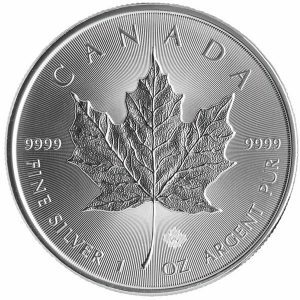 The RCM said its flagship Silver Maple Leaf Bullion coin continues to generate solid customer interest. 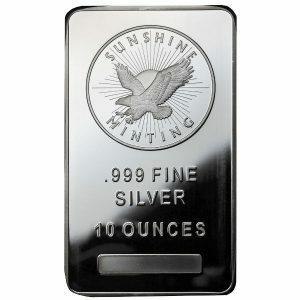 Australia’s Perth Mint reported that while total silver sales were down 13.5% year-on-year, largely due to a sales tax increase in Europe, there was an increase in buying as the price came off through the second half of the year producing 20.8% higher sales over the first half. Investors’ support for silver was not just limited to bullion coins. Investment in silver-backed Exchange Traded Funds (ETFs) grew by 1.1 million ounces by the end of December last year. Although a modest gain of 0.2%, when compared with the 8.8% decline in gold ETFs last year, it is clear that silver ETF’s remain a popular investment vehicle. Early indications for physical bar demand are down in 2014 for both silver and gold, however. 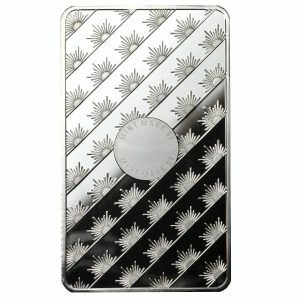 While American investors continue to demonstrate support for silver, demand for the metal also increased through the year in India, where silver imports climbed 13% to an estimated 212 million ounces in 2014, setting a level of imports that surpasses the previous record volume of silver imports posted in 2013, according to analysts at GFMS Thomson Reuters. Silver has benefitted from increased Indian demand due to uncertainty surrounding government import policies impacting the gold market. Although silver has been described as the poor man’s gold, in the event that confidence in fiat money collapses, silver will be just as useful as money as is gold, with the added advantage of practicality for everyday transactions. 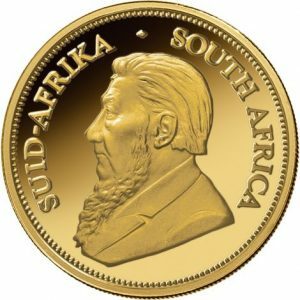 There is also the further consideration, that in the event western governments try to confiscate their citizens’ gold, they are unlikely to attempt to confiscate or regulate silver as well because of the impracticalities involved. So long as the risk of confiscation of gold exists, silver will be at least as important a monetary metal as gold. One thing of interest is the huge increase in silver coin and bar investment demand over the past decade that took place by less than 5% of the population… probably more like 2%. What would happen to global silver coin and bar investment demand if only say 10-15% of the population became interested?? Silver has historically been an attractive and affordable precious metal and provides investors an excellent opportunity to diversify their investment portfolio. 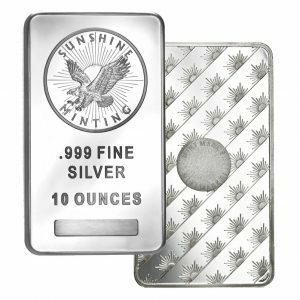 I believe silver will turn out to be one of the best physical assets to own in the future… especially when 95-98% of the world still has no idea of its excellent STORE OF VALUE properties. (Srocco Report).